ARET wins big at annual ASBU BroadcastPro Middle East 2018 Awards. Join ARET in Abuja at AFRICAST 2018. Schedule an appointment to have a first-hand look at the new products and solutions. 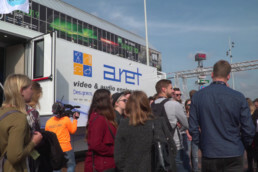 Join ARET in Amsterdam at IBC Show 2018. 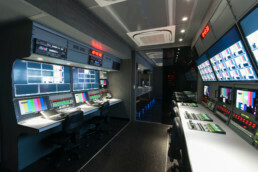 Schedule a tour of our brand new OB Vans! 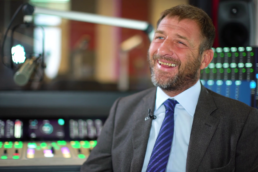 See Aret Engineering’s Alessandro Asti explaining the latest Radio OB Truck powered by LAWO technology. 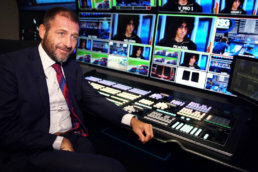 See Aret Engineering’s Alessandro Asti explaining his latest big production TV truck, featuring Lawo and Ross equipment. 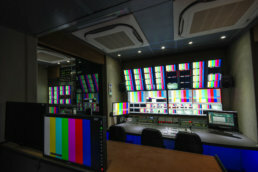 BroadcastPro ME speaks to the team at systems integrator ARET that custom-built the 3G HD OB van for Sharjah TV. 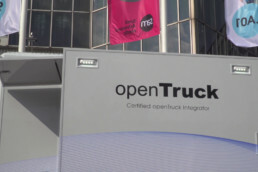 Ross Video has announced that Milan-based ARET Audio & Video Engineering has become its first certified systems integrator for the openTruck standard in EMEA. 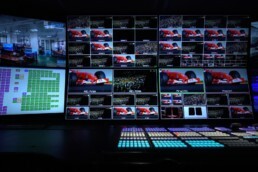 Doha-based broadcaster Al Rayyan TV recently had a state-of-the-art 18-camera OB van delivered by Italian systems integrator ARET. 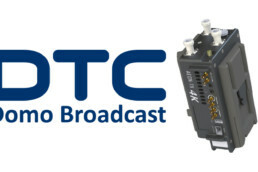 The new AEON-TX wireless transmitter completes its first live 4K over RF broadcast in the English Premier League. 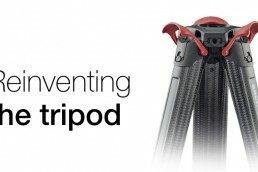 Presenting flowtech™75, a versatile, lightweight tripod that is easier and faster to deploy and adjust than any other tripod. 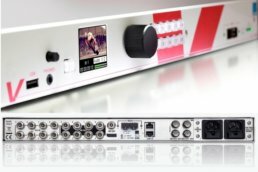 VSM is an IP-based broadcast control and monitoring system that can be utilized in all fields of broadcasting, from Live production in studios and OB Vans to Radio or TV MCRs. 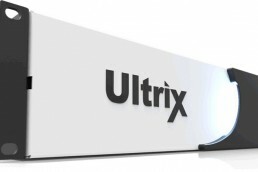 Ultrix is a compact but incredibly powerful processing platform capable of clean switching video signals from 270 Mb/s to 12 Gb/s. The new trailer presented at IBC is meant as a laboratory for experiencing new ideas both in the coachwork and in the system design. These new defined solutions will be available to the customer to empower their production. 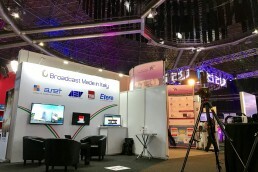 ARET exhibited at Mediatech Africa 2017 in Johannesburg, the continent's largest media and entertainment technology trade exhibition.